I don’t know about the day you had your ears pierced, but I remember the sting of the gun as the gold stud made a permanent puncture in my six-year-old ears. I can only imagine the tears that flowed. I may date myself here, but do you remember the Piercing Pagoda, the kiosks in the mall that would send people into the abyss of accessories for a lifetime. There was a time that all I would wear were small studs. Then I graduated to nickel sized gold hoops. I never really understood ‘costume’ jewelry, and I didn’t really have an assortment of jewelry or even fashion accessories. You could say that I’m pretty simple when it comes to attire. Then, in my later 30’s something changed. They say go big or go home. And boy did I! All of a sudden I had a mad desire for big earrings! I thought I’d share a couple of my favorite spots to shop for earrings. One thing I know for sure, I like big, fun earrings. Oh my gosh, Silver Chevron Three-Layer, Golden Leopard, and Magnolia in Northern Lights. You’re bound to find a pair you like. I’ve ordered from Made By Moon before and they are reliable and trustworthy. These are part of Jen Hatmaker’s collection and are handmade in the USA by women that are transitioning out of homelessness. These are on my wishlist for sure! 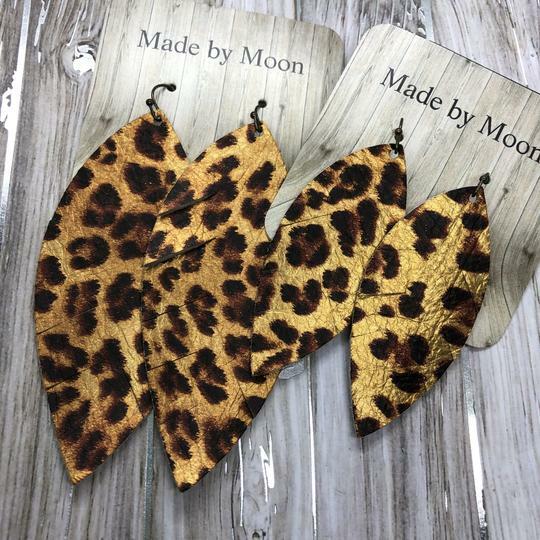 Just a sample of the unique earrings and products you’ll find at Noonday. What is really fun is having a Noonday party with girlfriends! 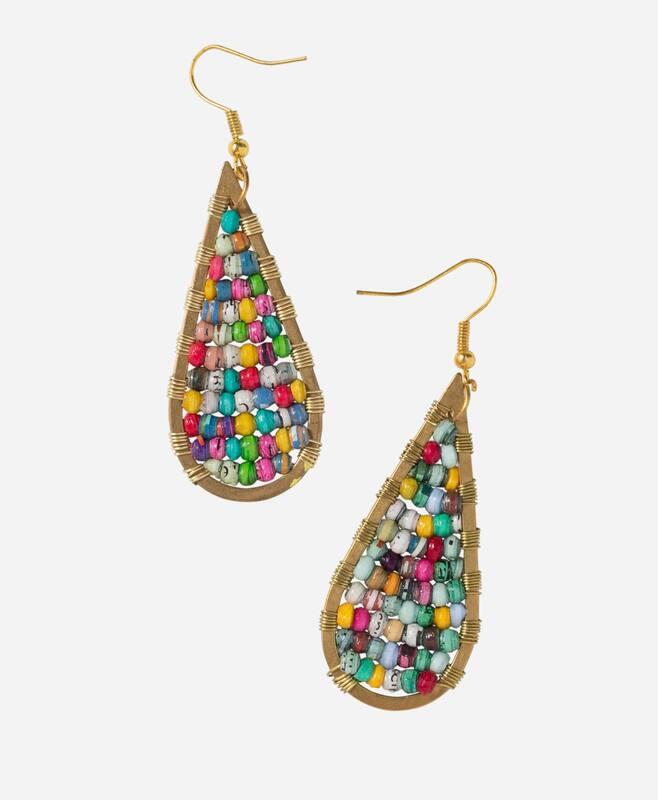 These earrings are made of paper beads from Uganda. A favorite! You probably detect a theme here. 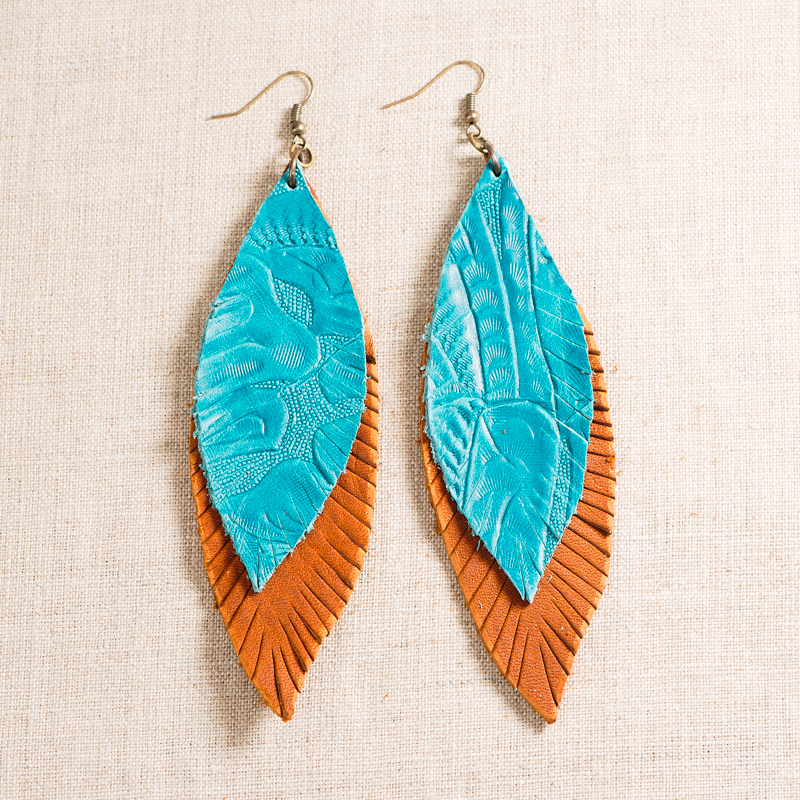 I have the white Zia Leather Leaf earrings made in India. If you get a chance to visit a store in person, you have to check it out.